Introducing the new mobile app from P.volve. This revolutionary pre-hab approach to fitness elongates your shape, eliminates bulk and gives you the body you always wanted. 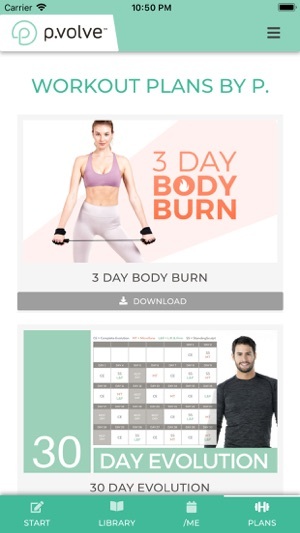 Work out anywhere, anytime, online or offline with a membership to P.volve Digital. Choose from countless workouts ranging from 15 minutes to 60 minutes in length. New classes are uploaded every week. 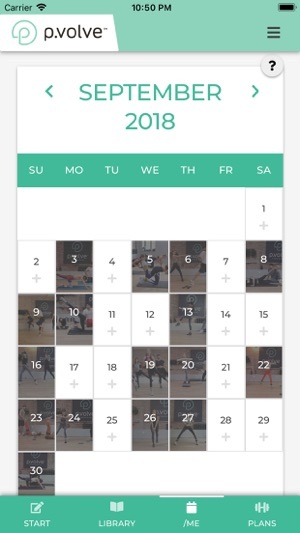 - All the features of the new my.pvolve.com 2.0 website, from conveniently entering your fitness progress, to accessing your personalized custom workout calendar! 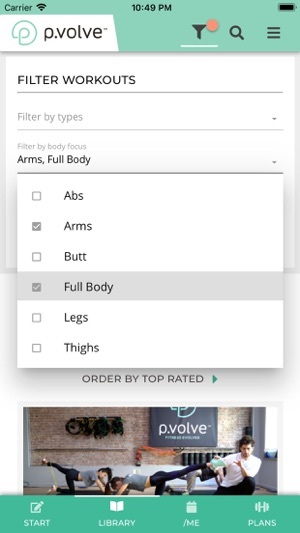 - Find the workout that is right for you - exercise in as little as 15 minutes per day with minimal to no equipment by using the filter buttons. Or select a 60 minute workout with just the equipment you have at home.